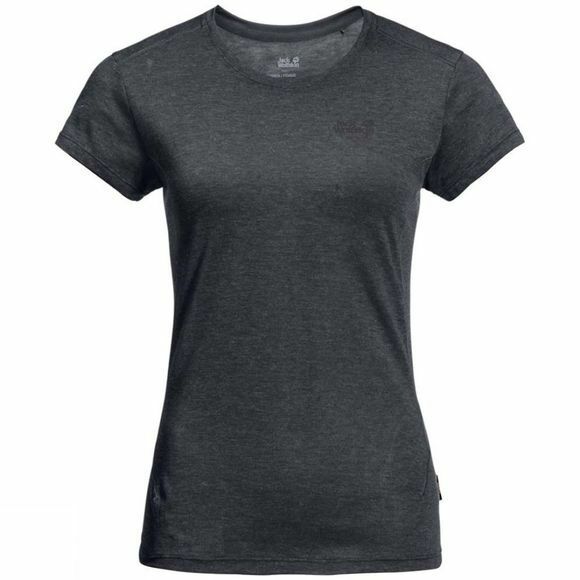 When you're active outdoors from morning to evening, the Womens Somers Track Tee delivers the adaptive wear climate you need. The T-shirt is made of a functional hybrid fabric with fine merino wool. The fabric is stretchy, breathable and has natural antibacterial properties that eliminate unpleasant odours.